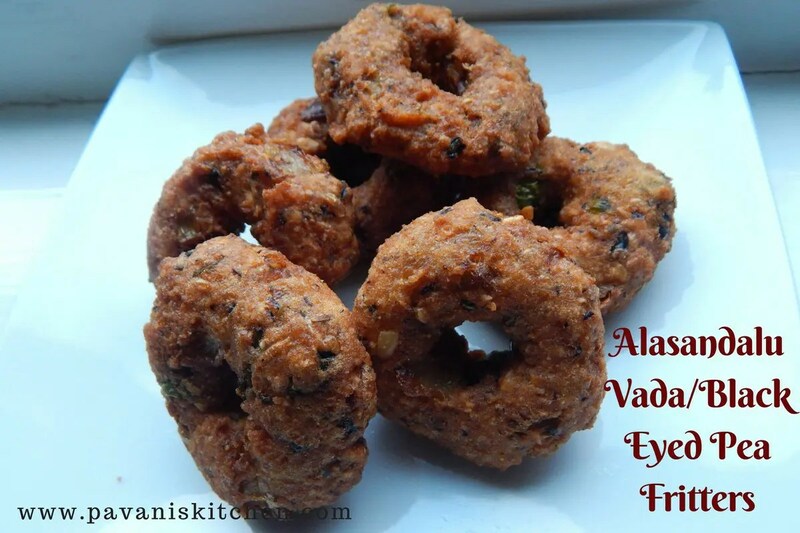 Today’s recipe is about Andhra’s famous Vada that is Alasandalu /black-eyed pea fritters which is very rich in protein and it is easy to prepare. This is specially made during the festive season. Soak the Alasandalu in enough water overnight or for at least 6hrs.2. 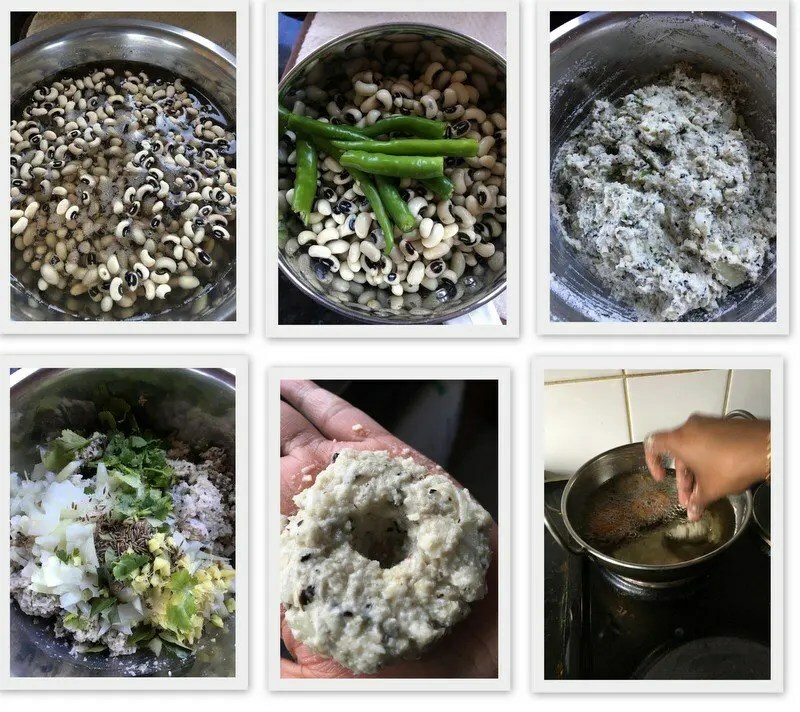 Drain the water from the Alasandalu and transfer into a blender along with green chillies and grind into a coarse paste. Transfer the coarse paste into a bowl, add chopped onions, curry leaves, chopped ginger along with required salt and combine well. Heat oil in a pan for deep frying on medium flame. Take a lemon size of batter into the hand and flatten it on your palm and make a small hole in the centre and drop slowly in the oil and fry them on medium flame till they are cooked or change its colour into golden. Repeat the same process for the remaining batter. Enjoy tasty and crispy Alasandalu Vada/black-eyed pea fritters when they are hot. 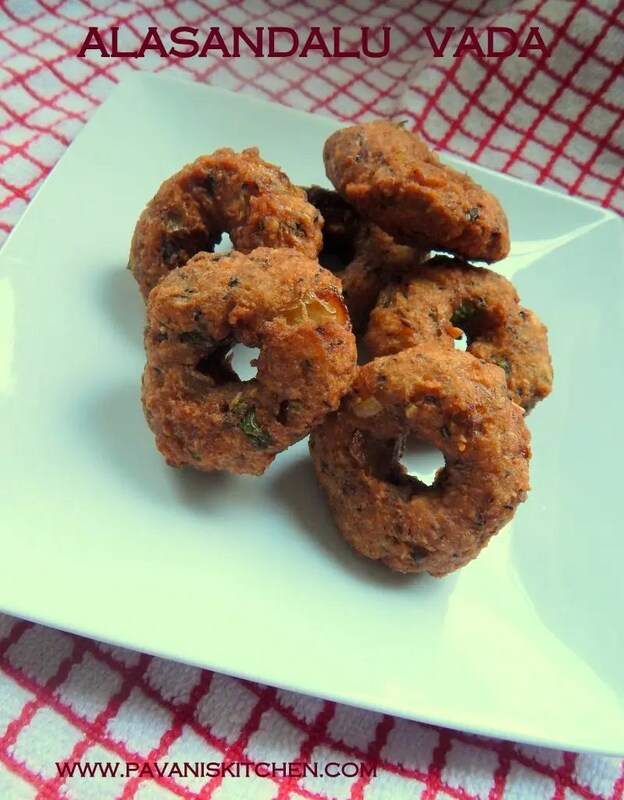 Alasandalu Vada is Andhra’s famous snack which is very rich in protein and it is easy to prepare. This is specially made during the festive season. 1. Soak the Alasandalu in enough water overnight or for at least 6hrs. with green chilies and grind into a coarse paste. leaves, chopped ginger along with required salt and combine well. 4.Heat oil in a pan for deep frying on medium flame. medium flame till they are cooked or change its colour into golden. 6.Repeat the same process for the remaining batter.